Build your child a library of books with these alphabet booklets. These booklets help teach children the letter sounds. 1) Print, then carefully slice along the dotted line in the center. 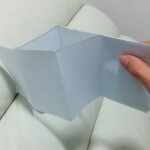 2) Fold in half along the horizontal. 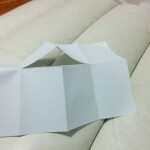 3) Then fold the other way, in half and then half again. 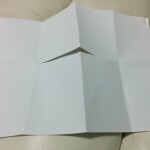 Unfold the last two folds, pushing the bottom of the paper in together so the center that you cut moves outwards to form the booklet. 4) One of your alphabet booklets completed. 25 to go! Once your child has a strong grasp on letter sounds, the next step is working towards combining individual sounds. CVC words are a great way to practise this skill. 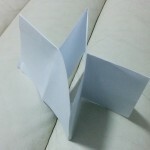 For more folding booklets, check out our CVC word booklets.